With many methods of hair removal on the market today, one fact is clear - Electrolysis is the only proven method for removing hair permanently. It is the Gold Standard of hair removal by which all other methods measure themselves. Developed in 1875 by ophthalmologist, Dr. Charles Michel. Electrolysis in the 21st century is both safe and permanent that is recommended by both physicians and health care professionals. 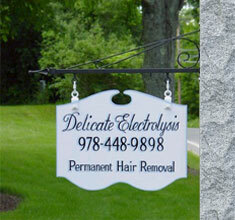 If you are tired of temporary hair removal methods then it is time to give electrolysis a try. You will permanently achieve the smooth, soft look you've been hoping for. Sharon L. Grier, R.E., C.P.E.